How much do Nissan Keys Cost? Can locksmiths make Nissan Keys? How much do Nissan Keys cost? Can Locksmiths make Nissan Keys? Nissan keys vary in price depending on the year and model of the vehicle. Also, prices vary from dealer to dealer and locksmith to locksmith. For older Nissan vehicles, for example a 1995 Nissan Pathfinder, these keys do not have a transponder chips, and generally can be duplicated at your local hardware store of locksmiths shop. Nissan keys that don’t require programming can be duplicated for usually less than $10.00. The Keyless Shop carries these Nissan keys in stock at every location. Older model Nissan Pathfinder key. Generally can be cut at your local hardware store or at any Keyless Shop location. 1995 Nissan Key. These Nissan key do not have chips and do not require programming. Usually they are made for less than $10. For newer cars, Nissan made those keys more secure for their customers. These keys have a transponder chip inserted inside the head of the key, programming and high-tech tool are required for these keys, these nissan chip keys range from $50 to $75 at The Keyless Shop. The Nissan dealer usually charges $150 - $200 for these chip keys. See photo below for typical Nissan chip keys. Nissan Transponder Chip keys must be programed by the dealer or your local Keyless Shop location. 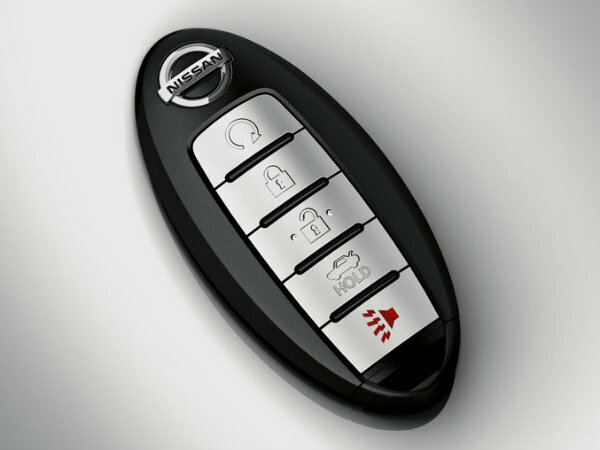 Nissan also made vehicles with push-to-start functions, not every local locksmith can do these smart keys, they require a higher key technology programming tools, these smart keys range from $225 - $300 at The Keyless Shop locksmith company and even more at the Nissan dealership. Nissan Smart key for a 2015 Nissan Altima with remote start function. These nissan smart keys are push to start vehicles which must be programmed by the Nissan Dealer or your local Keyless Shop locksmith. The Keyless Shop can program all keys for Nissan, we have all the required tools to do the job. No need to look elsewhere, we are the Nissan locksmiths America trust. Need a Nissan Key? Then give us a call today. The prices include programming and cutting the keys. No appointment is needed, and we can get it done the same day. for a quote and get the best price on your Nissan car key! Tags: how much do Nissan keys cost?, duplicate Nissan key, Nissan car keys made, Nissan keys duplicated, Replacement Nissan Keys, Can locksmiths make Nissan keys?